Foolish man. You cannot turn me into a phantom because you are frightened. You do not dismiss a muse at a whim. If you will not join me--then I will come to you. Sabine was supposed to be imaginary, a friend and lover that Griffin had created to soothe his loneliness. But she threatens to become embodied--to appear on his doorstep, in fact. So he runs. Faced with the terrifying prospect of meeting his own fictional character, Griffin runs. His journey begins conventionally--tracing a course through Europe and the Mediterranean--but slowly Griffin begins to realize that he is traveling backward in time, drifting through layers of dead civilizations and his own soul. 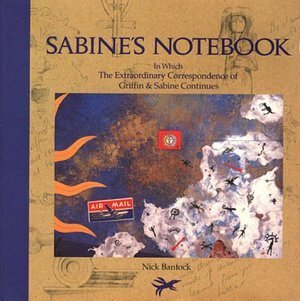 His precarious link to reality is the possibly unreal Sabine, who is living in his house in London and keeping a notebook of his letters and her responses. 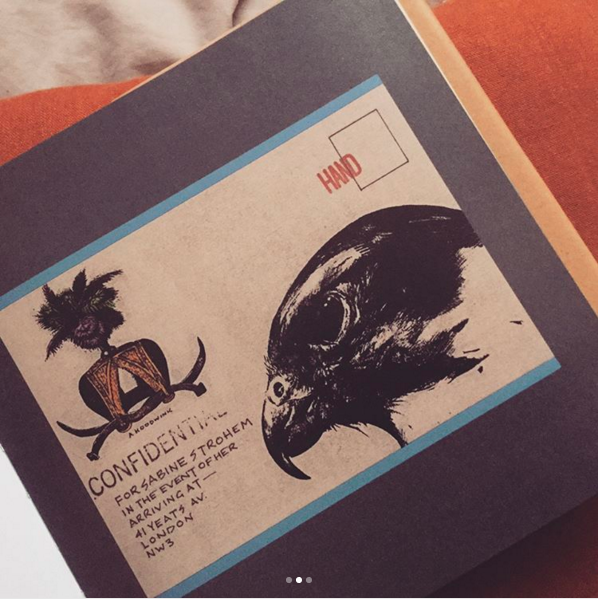 Once again, the story is told in strangely beautiful postcards and richly decorated letters that must actually be removed from their envelopes to be read. 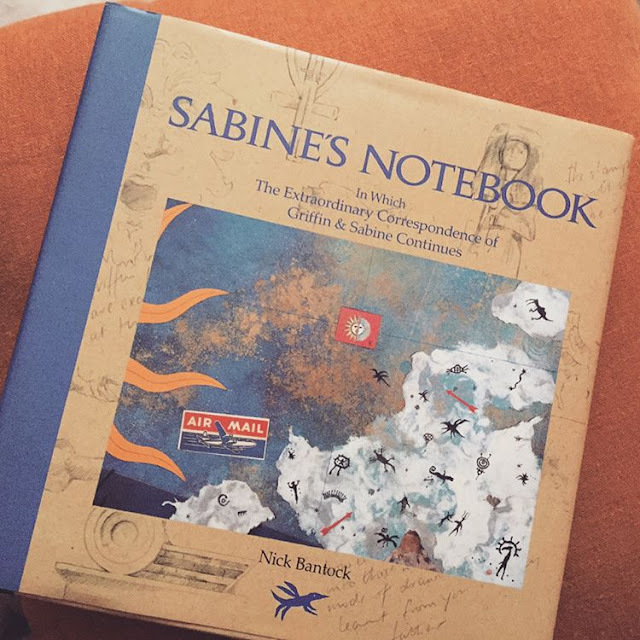 But Sabine's Notebook is also a sketchbook and a diary, filled with her delicately macabre drawings and notations, adding yet another layer to the visual intrigue that haunted readers of Griffin & Sabine and welcoming new readers to an even more complex and mysterious world. This trilogy is all sorts of gorgeous. 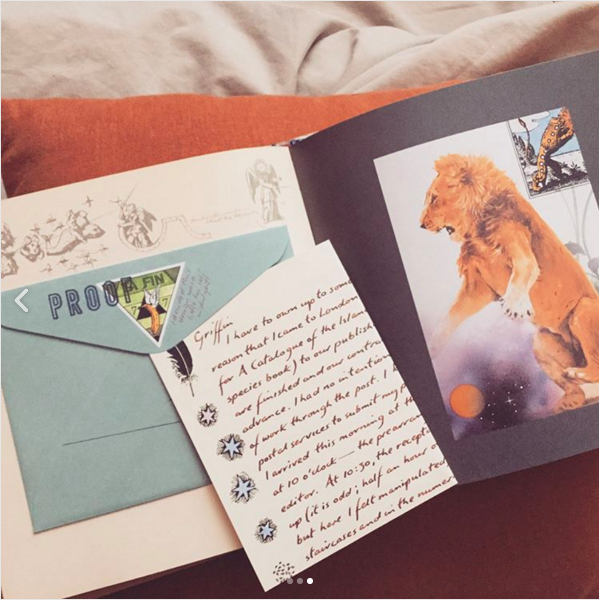 I am pretty sure that Nick Bantock was one of the pioneers of the interactive book - with its beautiful artwork and envelope-letter tandem. And oh the romance of it! I actually have two copies of book number 2 because I couldn't help myself from buying it again when I saw it in the thrift store. I guess I will eventually gift it when opportunity knocks. Ever encountered Bantock's work? Your thoughts?